These days hackers are expanding their hacking skills and they have already demonstrated the hacking of the Cars, Aeroplane, Smart TV's and Refrigerator. As there are many security geeks who have demonstrated these hacks, but what you think if a teen who can't even drive a car, can hack it with a simply assembled device. 14-year-old teen had built a remote auto communication device with $15 worth of Radio Shack parts, which is cable of connecting vehicles' internal computer network and control various functions. It took him only a night to assemble the device. The boy name was not revealed, but he was among the 30 student ranging in age from high school to college undergraduates to Ph.D. students who participated in the third annual Battelle CyberAuto Challenge. However, the Cyber Auto Challenge was held last July, but the news spotlight with the recent report of the U.S. Sen. Edward Markey (D-Mass). This teen have designed a device that can remotely control some of the function of the vehicles, such as headlights, horns, window wipers. He can also unlock the vehicle and also engage the vehicle's remote start features. According to some security experts, infiltrating a vehicle's CAN should be an arduous process that requires in-depth planning. But, the kid even declined help from the technical experts on hand. 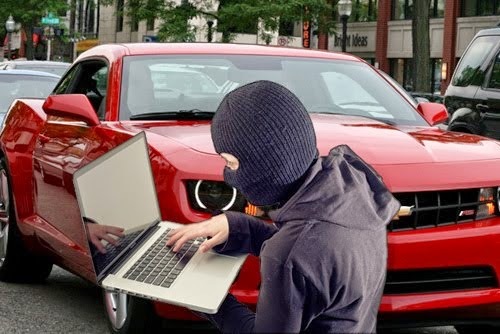 Reports say that most automobile manufacturers were unaware of or unable to report on past hacking incidents. They just designed a technology and rely on it without bothering the security concerns.